It seems wherever you go in the summer you see people totting their water bottles with them. Having that much-needed water is important in the summer heat, but who wants to hold it in their hand all day? 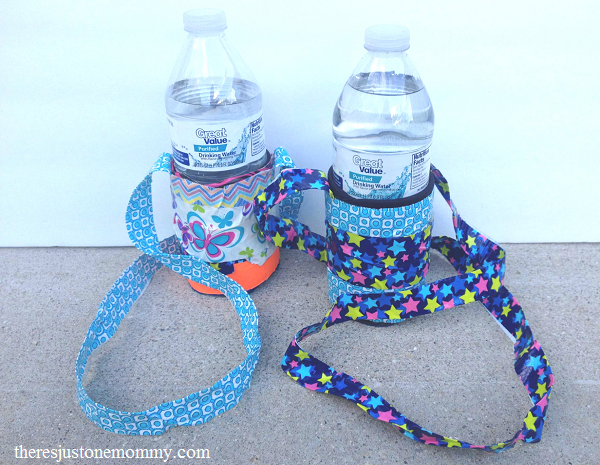 Make your own personalized duct tape water bottle holder and even the kids will want to carry their own water! 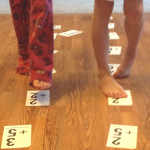 This simple kids craft is one of our favorite duct tape crafts. Once you have your materials assembled, the first step is to put your water bottle into the cozy. 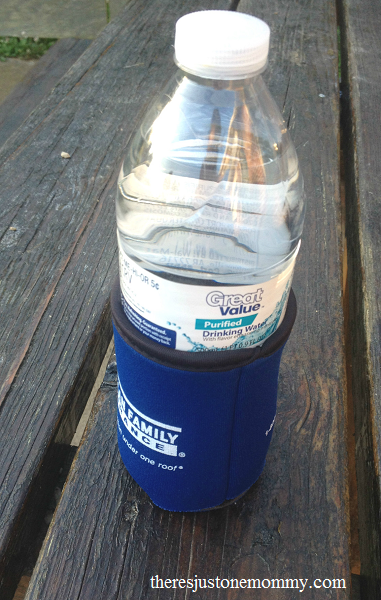 I have seen drink holders done with just duct tape, but using the cozy will help keep that water cold a bit longer. 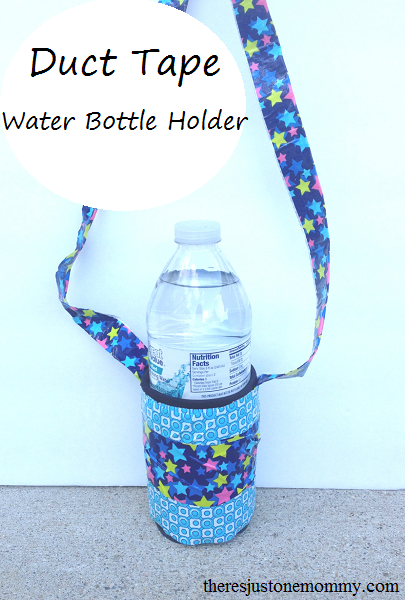 Plus, it makes this craft super easy for kids to make their own water bottle holder. The next step is to cover that cozy with duct tape. You don’t need to cover the bottom. In fact, it is better not to. This way any condensation from the water bottle will have a way to escape. 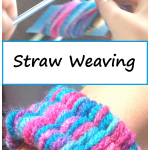 Simply take strips of duct tape to cover the outer sides of your drink cozy. To make carrying easier, your drink holder needs a strap. Measure how long you want your strap to be. If you want to be able to carry it across your body diagonally you will want it a bit longer. Then cut off a piece of duct tape the length you need for your strap. You will fold this piece of duct tape in half length-wise. This step is best done with a partner! One person can hold the end of the tape while the other carefully works to fold the tape a little at a time. Once your strap is created you will attach it to the outside of your drink carrier with one more piece of duct tape that circles the top portion of your drink holder. There you have it! 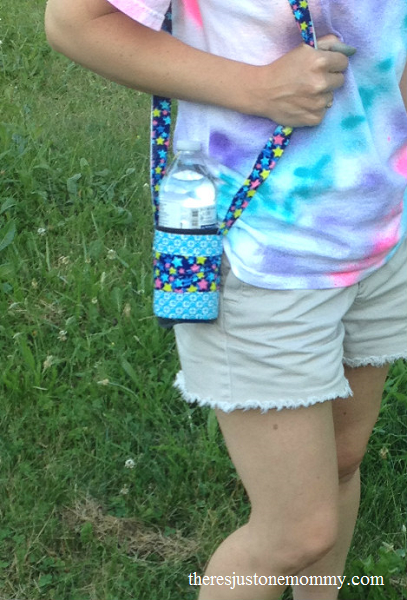 Your very own personalized duct tape water bottle holder, perfect for taking camping or to an amusement park. 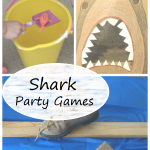 My daughter had so much fun with this camp craft, we are looking forward to more duct tape crafts in the future! What a great idea! We always get free cozies at the 4th of July parade. Now I know what to do with them! And I think I just saw some Frozen duct tape, too. 🙂 My girls will love this! We got our cozies free, too. 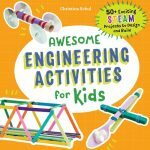 I am going to have to look for Frozen duct tape — that is sure to be a hit!